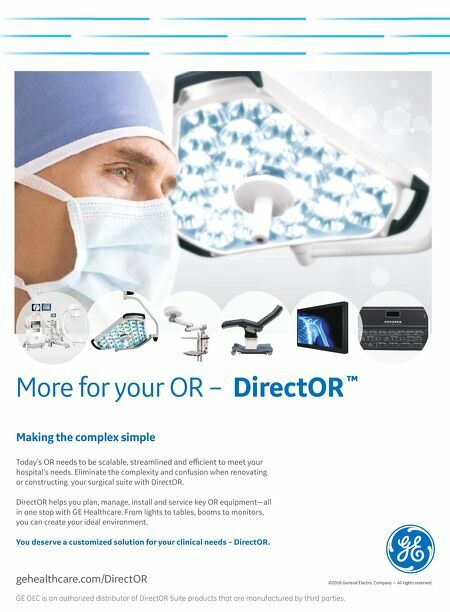 More for your OR – DirectOR ™ Making the complex simple hospital's needs. Eliminate the complexity and confusion when renovating or constructing your surgical suite with DirectOR. DirectOR helps you plan, manage, install and service key OR equipment—all in one stop with GE Healthcare. From lights to tables, booms to monitors, you can create your ideal environment. You deserve a customized solution for your clinical needs – DirectOR. gehealthcare.com/DirectOR ©2016 General Electric Company — All rights reserved. GE OEC is an authorized distributor of DirectOR Suite products that are manufactured by third parties. 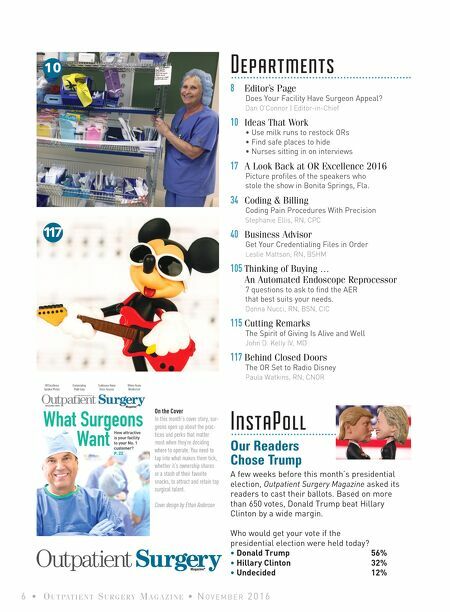 Editor's Page: Does Your Facility Have Surgeon Appeal?